Use the Fields of Mathematics Interactive Mind Map by Antonio Gutierrez of GoGeometry.com to introduce your learners to the broad field of mathematics. This mind map elaborates on multiple categories within seven fields: the mathematics of quantity, space, change, structure, foundations and philosophy, discrete mathematics, and applied mathematics. This is a great find! BrainPOP produces educational animated movies and is award winning. K-12 movies address science, technology, health, math, and special topics, including online safety. The online math movies include topics in algebra, geometry, data analysis/probability, problem solving, measurement, and numbers/operators. There are homework help, puzzles, activities, prizes, and more for registered users. 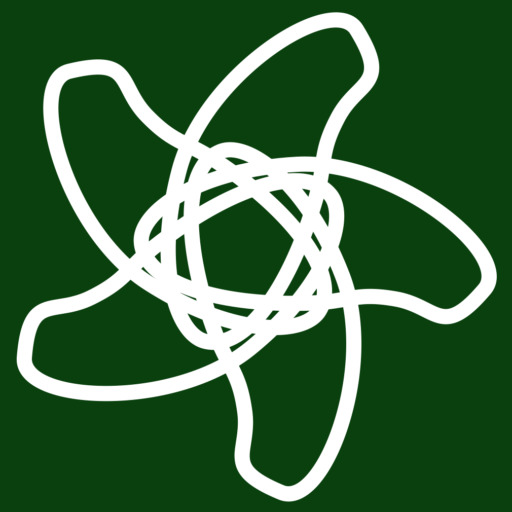 Cut the Knot Interactive Mathematics Miscellany and Puzzles was developed by Dr. A. Bogomolny, former Associate Professor of Mathematics at the University of Iowa turned software developer. It contains numerous games and puzzles on mathematics including arithmetic, algebra, geometry, probability, and calculus. There are pages for interesting math facts, proofs, analog gadgets (use of compass, scissors, rulers, etc. ), mathematics as a language, and more. This site has some highly interesting intellectual material on mathematics, and links to other sites. FactMonster.com is an award winning site that features an atlas, almanac, dictionary, encyclopedia, and individualized homework help. Students can get facts on a range of subjects including math, the world and news, U.S., science, sports, people, and more. There are games and quizzes also. Among press releases is the March 2001 recognition in the NCTM News Bulletin, WebBytes, which highlighted the site as a reference source. The Internet Mathematics Library from The Math Forum at NCTM contains math topics, math education topics, resources with subdivisions for elementary, middle school, high school, college, and research. Resources, for example, include educational materials, internet-based projects, organizations, publications, and software. You'll also find a section devoted to resources for the Common Core State Standards. LearnAlberta.ca provides multimedia online resources for K-12 in several content areas, accessible for all learners. Don't miss the use of audio, video, animations, and interactivity in the mathematics course materials. Math 5 Live! and Spy Guys for grade 6 fully supports content included for those grades. The Continuum is suitable for grades 8-12, depending on skill levels of learners. Secondary learners will also benefit from the Applied Math Multimedia Resources and the interactive Mathematics Discovery Applets. There are 26 resources that will engage a variety of learning styles. You can login as a guest. Math Power is a must see web site that provides information about basic math, algebra, study skills, math anxiety, and learning styles. Although the site addresses the needs of community college adult learners, it has appeal for middle school and secondary math students and teachers. The web site has received numerous awards and has been featured in the Chronicle of Higher Education, the New York Times, and USA Today. Metric Conversions by Science Made Simple, Inc. contains online measurement conversions for metric and US customary units, such as area, volume, speed, temperature, time, weight, currency, length/height, power, and stress. Nick's Mathematical Puzzles are for students grades 9 and upward. Nick Hobson addresses geometry, probability, number theory, algebra, calculus, and logic. Hints are provided, along with answers, fully worked solutions, and links to related mathematical topics. Many of the puzzles are elementary in their statement, yet challenging. There are at least 90 puzzles in this collection. New puzzles are added on a regular basis. A key feature of the site is the detailed exposition, from first principles, of the puzzle solutions. Some of the puzzles are used to showcase particular mathematical concepts. See, for example, puzzle 33, where a natural solution invokes mathematical induction, and puzzle 56, which introduces a partition identity. Further references are provided with many of the solutions. The site is designed with accessibility in mind. 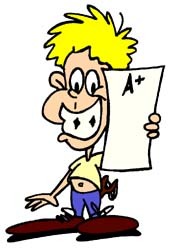 OnlineMathLearning.com is a real find! It contains math help and learning resources for arithmetic, algebra, geometry, statistics, probability, set theory, trigonometry, matrices, SAT and ACT test preparation, worksheets, games, trivia, and links to related resources. Of particular value are the videos that accompany various topics. Resources are identified for Common Core math standards. Platonic Realms for secondary and post-secondary students features a "must-see" interactive mathematics encyclopedia, which can be browsed at elementary and advanced levels. Topics include basic mathematics, algebra, analysis, biography, calculus, discrete math, history, economics, geometry, graph theory, number theory, statistics, trigonometry, and math quotes. There is an extensive link library to instructional resources, K-12 and university math departments, institutes, journals, societies, business/commercial math sites, and selected personal pages. View the mathematics art of M.C. Escher. For a small fee, downloads and expert math tutoring online are available. Quizdom produced Quizdom Connect Online which has free lessons, activities, presentations, pictures and videos for K-12 that have been created by Qwizdom's curriculum team and teachers. Teaching Treasures offers online interactive practice in K-10 mathematics topics with helpful explanations: addition, subtraction, multiplication, division, algebra, measurement, problem solving, shapes, space, reading a clock, and more. TES Teaching Resources contain an extensive library of free teaching resources in multiple areas created and uploaded by teachers in the TES community. Classroom materials include lesson plans, videos, PowerPoints, games, puzzles, worksheets, tutorials, interactives, and whiteboard resources. Math resources are easiest found by accessing the collection of primary and secondary resources, then narrow your search by a grade level or subject. This site is based in the UK and highly rated--do have a look. U.S. Department of Education is a comprehensive site for preK-12 and higher education resources, policy information, grants and funding, research and statistics, and more. On May 4, 2010, the Obama administration released a series of documents outlining the research that supports the proposals in the blueprint for revising the Elementary and Secondary Education Act (ESEA). One of those proposals calls for a complete and well-rounded education with support for "strong instructional practices in arts, foreign languages, history and civics, financial literacy, environmental education, and other subjects" (p. 19). Hence, readers will note that the resources that follow would support this proposal. Do you need some ideas on getting your students interested in task-based learning, problem-based or inquiry-based learning? Succeeding with Inquiry in Science and Math Classrooms by Jeff Marshall (2013) includes the need for inquiry in your classroom, details of inquiry instruction (e.g., the framework, exemplars, how inquiry appears in units of study), and advice on how to be successful with this method. Real-world lesson plans are provided to illustrate effective inquiry-based instruction. emergent math is a blog that has some great ideas for introducing students to inquiry-based learning. Begin your exploration with A Problem Based Learning Starter Kit, posted October 30, 2013. You will also find a set of Common Core Problem Based Curriculum Maps for grades 3-11, algebra 1, geometry, and algebra 2. "The centuries-old tradition of folding two-dimensional paper into three-dimensional shapes is inspiring a scientific revolution. The rules of folding are at the heart of many natural phenomena, from how leaves blossom to how beetles fly. But now, engineers and designers are applying its principles to reshape the world around us—and even within us, designing new drugs, micro-robots, and future space missions. With this burgeoning field of origami-inspired-design, the question is: can the mathematics of origami be boiled down to one elegant algorithm—a fail-proof guidebook to make any object out of a flat surface, just by folding? And if so, what would that mean for the future of design? Explore the high-tech future of this age-old art as NOVA unfolds “The Origami Revolution.” "
Then get some ideas for using origami in your classroom at the Origami Resource Center. It's easy to connect origami to math and geometry, in particular. People who work in agriculture try to maximize produce and would need to know about mixture problems. What's the right amount of seed to use, or fertilizer, pesticides, water? Accountants/Bankers/all businesses use spreadsheet packages. Who's writing the formulas? This is an algebra skill. Profit/loss translates to knowledge of percents and decimals. There are algebraic equations involving time and interest rates for calculating mortgage payments. Airport air traffic controllers, pilots, and aviation mechanics use math. The air traffic controller needs to determine which plane should land first on a runway based on how fast the plane is traveling and how far it is away from the airport, and they need to determine which can take off first. They need to know about wind speed and direction, and at what altitude a plane should fly. Pilots also need to know a lot of math including basic arithmetic, algebra, trigonometry, geometry, calculus, physics, and so on. As examples, it is much more than determining how long a trip will take given distance to a destination and speed of the plane. They must consider how much fuel their planes need for a trip, so they need to also consider weight of passengers and what else the plane is carrying, and weight of the fuel. When in flight, they must know when to start to decend a plane, and how fast to decend and at what angle of descent. The aviation mechanic uses math tools to ultimately ensure the plane is safe for flight. For example, per Mathematics in Aviation Maintenance posted at flight-mechanic.com, "Tolerances in turbine engine components are critical, making it necessary to measure within a ten-thousandth of an inch. Because of these close tolerances, it is important that the aviation mechanic be able to make accurate measurements and mathematical calculations. An aviation mechanic working on aircraft fuel systems will also use mathematical principles to calculate volumes and capacities of fuel tanks. The use of fractions and surface area calculations are required to perform sheet metal repair on aircraft structures" (para. 2). Architects use sophisticated software to build online virtual models of buildings, houses, and so on. They certainly need visualization skills--those spatial aspects students study in math, which they might practice using online virtual manipulatives. Certainly architects need understanding of geometric and algebraic concepts for making physical models of the real thing. Scale drawings rely on accurate use of fractions and decimals. Auto industry: How about all the math used in the auto industry? Car designers use math. Cars contain sophisticated computers. Even now, crash tests are done with simulations. Aviators need math skills. Consider the science of air pressure, drag, lift and velocity, and using formulas to calculate aircraft speed. Biologists use statistics and probability. Builders need to measure accurately to cut those boards, pour those floors (think proportions in getting cement to the right consistency--too much water and the structure breaks). That's where knowledge of fractions and decimals comes in. They would need to know about areas, volumes, slopes, angle measures, distance, ratios, and so on. They need skills to calculate how much of a product to buy for the job they are doing, and then its total cost. Cooks, even in the big restaurants, need measurement skills, and proportions for converting recipes for larger or smaller quantities. But there are software packages to help with that and databases for storing those recipes and spreadsheet packages for inventories, profit/loss, and so on. You need to understand formulas in algebra to design those spreadsheets. Engineers play a role in the design and modification of products we use. A civil engineer, for example, would be concerned about the amount of weight a road or bridge can handle under a variety of weather conditions. Algebra would help with those calculations in their design. Fitness trainers can use algebra to help determine a ratio of diet to exercise for achieving a desired weight and maintaining it. Geologists use math models to study the earth: daily weather patterns, earthquake predictions, and so on. Medical doctors study the human body and must be able to properly prescribe doses of medicines, and detect illnesses. A heart doctor, for example, would rely on an algebraic equation involving heart rate and oxygen levels in the body to determine cardiac output. Manufacturing jobs require math skills: "[T]oday's manufacturing work requires strong math skills — not just adding and subtracting, but a good grasp of fractions, decimals and basic trigonometry. And job applicants who want to go into manufacturing often don't have what it takes" (Boodhoo, 2012, para. 2). Police apply math concepts to reconstruct vehicle crashes. Read how they do this in Building Mathematical Skills and Community Relationships Through Crash Reconstruction by Kelly Remijan (2017, November 22) in ASCD Express. Stock brokers: Anyone interested in the stock market? Positive and negative numbers are used to indicate what's happening on the market. Gain of so many points, or loss of so many points. Graphing programs (tech part) can be used to create the visual displays. Of course, knowledge of data analysis is needed. Surveyors use measurement tools and GPS systems. Tradesmen of all kinds use math to estimate job costs, and to deal with the technical aspects of their jobs. People in the military use simulations for training. Programmers need math skills to design those environments. Angles of elevation, range, trajectories are useful to locate and hit targets. You need math to determine how much food, supplies, ammunition, trucks, equipment that troops will need and statistical estimations to determine the rate at which those will be used up. See how math is used in the army. Virtual Reality--think of virtual environments like Second Life -- who programs those? Everything in Second Life is designed with basic prims, which are geometric shapes that are placed and stretched to get whatever you see in the virtual worlds. Virtual reality technology is being used in medicine, engineering, and architecture to help solve problems, and it's used in the entertainment industry. For more on virtual reality in careers, view the the series of three short videos from the Stem Career Lab, located in Ohio. "Students will hear how virtual reality modeling is being used in a number of disciplines and applications. Students will learn about career paths into the Virtual Reality field and how the math and science they learned in high school will help them later in their professional lives." The list goes on and on. Animators, computer game designers, special effects designers, professional photographers all use math. Learn more about data visualization and its importance in careers. The developers of Tableau, software for data visualization, stated: "Every STEM field benefits from understanding data—and so do fields in government, finance, marketing, history, consumer goods, service industries, education, sports, and so on" (Why data visualization is important for any career section). You'll find a data visualization beginner's guide with a definition, examples, and learning resources. Learn to create your own. Learn about historical examples and theory from books, access blogs on data visualization, get information on data visualization tools and software, free training videos, and more. Why not go on a virtual or real field trip or invite a professional to your classroom to talk about how they use math? Math Learning Field Trip for Homeschoolers posted at Dreambox Learning with field trip and lesson ideas for architecture, sports, museums, factory tours, and agriculture. The Environment and Math, a lesson for high school learners with field trips to various environmental/conservation sites in your area. Field Trips Motivate Mathematicians posted at Teachers Network--consider the local bank, grocery store, restaurant, dairy, quilt shop, or train station. Do you need to explore more careers in math and get ideas on professionals you might invite? In 101 Careers in Mathematics (3rd Edition) by Andrew Sterrett (2014), you'll actually find more than 101 careers described. Per the book's description, "Each of the jobs presented shows real people in real jobs. Their individual histories demonstrate how the study of mathematics was useful in landing well-paying jobs in predictable places such as IBM, AT&T, and American Airlines, and in surprising places such as FedEx Corporation, L.L. Bean, and Perdue Farms, Inc. You will also learn about job opportunities in the Federal Government as well as exciting careers in the arts, sculpture, music, and television. There are really no limits to what you can do if you are well prepared in mathematics." American Mathematical Society provides resources to answer the question, "What do mathematicians do?" This is an excellent place to begin discussion on the topic of "Where am I going to ever use this stuff?" The AMS also produces Mathematical Moments, a series of one-page posters that promote an appreciation and understanding of the role that math plays in science, nature, technology, and human culture. Each poster comes with a related resource. Some feature podcast interviews with experts in the field. There is a section for high school students and a video on Careers in Math containing interviews with mathematicians working in business, industry, and government. American Statistical Association Careers in Statistics: Find answers to what statistics is, what statisticians do, industries that employ statisticians, how to become a statistician, and career prospects. archKIDecture (architecture for kids) "was established in 1996 to encourage visual literacy and explain math, science and visual arts concepts through the medium of architecture" (Why section). You'll find projects, lessons, stories, architecture books for kids, and learn about the BuildIt! Traveling Exhibit for kids. Career Cornerstone Center has numerous resources for careers in mathematics, computing, science, technology, engineering, and health fields, and assistance for career planning. The student section is particularly helpful as it addresses resources relevant for learners in middle school, high school, college/university, and graduate school. Highly recommended. Engineering the Future: The Educator's Guide to Building and Construction includes a "collection of lessons, activities, projects, videos, and more, broken down by grade level [K-4, 5-8, 9-12, and When I Grow Up]... to assist educators in teaching young people core areas of study by introducing them to the world of building and construction" (Overview section). Each grade level group relates building and construction to various STEM fields of study and then provides practical math projects/activities suitable for the grade level. The activities have the potential to influence career choices. Exactly How is Math Used in Technology? This is a set of examples provided by the Mathematics Department at the British Columbia Institute of Technology illustrating how topics in algebra, geometry, trigonometry, calculus, statistics and quality control are used in a variety of careers involving technology. You will find an appropriate math problem and its solution related to the math subject and area of technology you select. Areas include biomedical engineering, food technology, building technology, chemical sciences, civil and structural engineering, graphics and computer-aided drawing, electronics, environmental health, mechanical engineering, mining technology, nuclear medicine, occupational health, petroleum technology, prosthetics, forestry and wildlife, robotics, and surveying. Get the Math is a multimedia project about algebra in the real world, which is for middle and high school learners. Begin by viewing videos that show how professionals working in fashion, videogame design, music production, basketball, the restaurant business, and the special effects industry use algebraic thinking. They present challenges connected to their jobs to two teams of teens. "At that point viewers are encouraged to try the challenges themselves using interactive tools provided on the GET THE MATH website, before returning to the video to see the teams’ solutions. Students can further explore the same algebra concepts through additional interactive challenges on the website" (About section). The project is made possible by the Moody's Foundation THIRTEEN in association with WNET New York Public Media. Mathematical Association of America posts mathematics careers along with related resources. Math Apprentice answers the question that nearly every student will ask during his or her math career: When are we ever going to use this stuff in the real world? The site is among several developed by Colleen King, who said "This rich, multimedia site provides students an opportunity to try various professions that use math. Students can be scientists, engineers, computer animators, video game programmers, and more. Math Apprentice provides areas of free exploration as well as specific problems to solve. The site is free of advertising, free of charge, wholesome and safe for children. I would recommend it for upper elementary and middle school students" (personal communication, September 16, 2009). Math by Design "was created for middle school students taking Algebra I and II to enhance their understanding of geometry and measurement objectives." Students become junior architects who "create two different environments: Flossville Town Park and Windjammer Environmental Center. As they work with each environment, students are given a series of tasks -with related subtasks- that they complete by applying their knowledge of geometry and measurement concepts" (Educator resources section). Math in Action videos enhance their experience as videos feature people who use math everyday in their careers (e.g., cake artistry, sculpture, architecture, urban planning, and landscape design). Videos include discussion questions and related practice resources to extend the video watching experience. Math Central is for teachers and students. Explore careers in mathematics within the section Mathematics with a Human Face. The section Math Beyond School provides resources for K-12 that address the question: "Where will I ever use this math?" In addition Math Central contains teaching resources, a database of answers to mathematics questions, a problem of the month, and outreach activities. The site, which is available in English, French, and Spanish, is maintained by faculty and students in Mathematics and Statistics and Mathematics Education at the University of Regina in Canada. Math in the Workplace will definitely help you to answer the question often posed by students, "How am I ever going to use this stuff?" This project contains real-world math problems with solutions contributed by a variety of businesses in Southwest Idaho. Problems are aligned with the National Standards for School Mathematics and Idaho State Mathematics Achievement Standards. They are categorized by strand: Numbers and Operations, Algebra, Geometry, Measurement, Data Analysis and Probability. The intent of these lessons is to excite students about mathematics, to expose students to professions that employ mathematics, and to demonstrate the relevance of mathematics in solving real-world challenges. The site is supported by Micron Technology. Lessons were field tested by teachers. Mathematics at Work brochures "examine how higher-level mathematics is used in today's workplaces." Produced by Achieve.org, each reflects expectations on college and career readiness promoted in state standards and the Common Core math standards. You'll find brochures on the aerospace industry, civil engineering, construction, health care, information technology, manufacturing, and semiconductors. Math@Work is a free series of videos that introduce learners in grades 4 and up to how math is used in various careers. Each video is about 25-minutes long and is accompanied by lessons to promote discussion and problem-solving. Initial episodes included Math Meets Fashion, Math Meets Culinary Arts, and Math Meets Homebuilding. Mathscareers.org.uk "is a resource to provide a single starting point for those wishing to know where studying mathematics can lead. The website has a particular focus on young people between the age of 11 and 19" (Teacher section). You'll find a range of resources categorized by age level; and resources for undergraduates, graduates and adult learners. Sections showing how math applies in careers include maths, environment, health and society, business and money, entertainment, science and engineering, and sport. Highly recommended. National Science Foundation Engineering Classroom Resources contain a list of organizations that provide lessons and resources aimed at K-12 educators, their students, and families. They illustrate the role of math and science in engineering, include projects for the K-12 classroom, and promote engineering as a career. Science of NFL Football includes a series of ten videos relating mathematics to the game. "For each segment in the series, an NSF-supported scientist explains the selected scientific principle, while NFL athletes describe how these principles apply to their respective positions." Videos address vectors; projectile motion and parabolas; nutrition, hydration, and health; position, velocity, and acceleration; geometric shapes; Newton's first, second, and third laws of motion; torque; and the Pythagorean theorem. Society for Industrial and Applied Mathematics (SIAM) Careers & Jobs section contains resources to learn about careers in the math sciences and applied math. Also learn about "WhyDoMath." SpaceMath@NASA introduces students to the use of mathematics in scientific discoveries. "SpaceMath products, simple one-page problems featuring a NASA discovery or engineering issue, are designed for direct classroom use by students in grades 3 through 12 using authentic, on-grade-level math topics rooted in real-world science and engineering data. It was developed in 2003 to help NASA missions upgrade their E&PO offerings by explicitly integrating mathematics problems into the science content" (Press Release, 2012). There are multiple ways to locate math problems. Search by grade level (3-5, 6-7, Algebra 1, Algebra 2, Geometry, Calculus), by NASA mission, by space topic, or by standards themes (NGSS, CCSS-M). Problems follow the 5-Es Constructivist Learning Cycle, which "represent five stages of a sequence for teaching and learning: Engage, Explore, Explain, Extend (or Elaborate), and Evaluate." If you are a NASA fan, also see the free NASA App for Smartphones, Tablets, and Digital Media Players. Content, includes "images, videos on-demand, NASA Television, mission information, news & feature stories, latest tweets, ISS [International Space Station] sighting opportunities, satellite tracking, Third Rock Radio and much more" (NASA App description section). STEM Career Lab, located in Ohio, provides a collection of videos on multiple STEM careers in which STEM professionals share "their educational pathway, what it is they love about their jobs, and how they really do use that math and science they learned in high school." Each video comes with a viewing guide that can be used as a pre- and post-assessment, and ideas for discussion and teaching the math and science concepts presented in the videos. TryEngineering.org: Engineering is a broad field with many disciplines. This resource for students ages 8-18 is provided by IEEE, IBM and the New York Hall of Science. It provides resources for exploring engineering as a career, related games, lesson plans allowing teachers and students to apply engineering principles in the classroom, information about finding a university offering engineering degrees, and a Q&A section from actual engineers and undergraduates pursuing engineering degrees. WeUseMath.org helps to answer the question "When will I use math?" "This website describes the importance of mathematics and many rewarding career opportunities available to students who study mathematics" (Site description). Over 40 such careers are described, including the mathematics and education required and potential salary. XP Math offers free arcade-like games for learners in grades 2-9, which are grouped by categories: number & operations, algebra, geometry, measurement, data analysis & probability. XP Math also has a Math in Careers Database that associates math skills with jobs that require those skills. Help students to gain financial literacy. It's never too early to start teaching kids about finances and money management. Parents are often the first ones to begin this process. Walter Andal (2016) does this, too, in Finance 101 for Kids: Money Lessons Children Cannot Afford to Miss . While meant for middle school learners, anyone can benefit from this informative and entertaining book. In ten chapters, he explains what finance is, how money began, how to earn money, the power of money, credit and how to deal with it, how to save money. He relates money to our economy introducing supply/demand, inflation, unemployment, the stock market, and money around the world. He concludes with his perspective of sharing money with the community (e.g., donations to charities). Next Gen Personal Finance is "a free "personal finance curriculum and professional development partner helping teachers deliver essential money understanding in an easy-to-grasp, engaging way" (About Us section). The curriculum is appropriate for learners in middle school and high school and includes 12 units featuring "65 lessons, 200 activities, and over 400 curated videos." Assessments, data crunches, projects, and case studies are included. You find several curriculum options ranging from an 8-hour workshop to a full semester course. Pathway to Financial Success in Schools from Discover Financial Services and Discovery Education includes comprehensive financial literacy resources for middle and high school learners. Educators, students and families will appreciate the standards aligned lessons, guides and videos, self-paced modules, and family activities. The U.S. Currency Education Program will help everyone learn about the seven denominations of U.S. currency issued by the Federal Reserve Board ($1, $2, $5, $10, $20, $50, $100), their design and security features, and life cycle. The site also offers videos to learn more, and a history of U.S. currency. ABCya.com: Learn to Count Money is an interactive game among several offered for preK-5 learners. Per its description at the site: "Children practice counting money by clicking and dragging bills and coins into a box. A correct answer earns a fish for the fish bowl. The activity progressively becomes more difficult as children progress. There are two levels: Beginner & Expert. Beginner allows students to count money using any amount of coins and bills. Expert requires students to use the least amount of coins and bills." Actuarial Foundation's Math Academy is a series of free downloadable booklets with hands-on activities dealing with real life applications of math for students in grades 3-8. Each was designed by teachers who wanted a fun learning environment to engage students. Explorations address probability (Are you game? ), patterns and functions (Can you see it in nature? ), data analysis and statistics (Play Ball! ), fractions, decimals, percents (Dining Out! ), combinatorics (Let's Go the the Mall! ), and more. Algebra in the Real World on DVD is a series of 18 short videos with activities provided at the Futures Channel. See the relevance of algebra in such areas as Aquarium Makers, Backpack Designer, Blackfooted Ferret, Building Custom Guitars, The Business of Farming, Creating Cars, Dancing with Geometry, and more. HOT! : Crash Course Statistics is series of videos posted on YouTube that takes a closer look at how statistics play a significant role in everyday life "from batting averages and insurance rates to weather forecasting and smart assistants" and more. The first of those was posted in January 2018. You'll find episodes involving topics such as mathematical thinking, measures of central tendency and spread, data visualization, correlation, controlled experiments, sampling methods and bias in surveys. DFI KidsPage (Department of Financial Institutions from the State of Wisconsin) presents an overview of the history of money, savings options, financial institutions, and investing. The end of each section includes a short quiz. There is also a glossary of key financial terms and links to other valuable financial literacy resources for educators, parents, and students (e.g., financial games organized by grade level). Financial Education in the Math Classroom from the Math Forum at NCTM is a site to share, discuss, and collect resources for teaching financial topics, such as credit and debt, financial planning and money management, income and careers. There's problems of the week, applets and web-based tools, lesson plans and other web-resources that can be used to help illustrate mathematical and financial concepts. Financial Football developed by Visa is a sports-themed game that helps students to learn about money management: saving and spending, budgeting, and wise use of credit. Players move down the football field to score touchdowns by answering multiple choice questions. For use in the classroom, each module comes with an overview of the concept, goals and objectives, teacher notes, discussion, and the activity questions. There are three levels of difficulty, available in English and Spanish. The game is primarily for ages 11 and up. For those who prefer soccer, there is also a Financial Soccer game on the same topics. Garden Math hosted by The Ohio State University Extension contains articles on this subject, garden calculators, sample problems and calculations, and additional resources. Bruce Spangenburg's article Math and the Yard & Garden (2001) reminds us that "Planning for planting, fertilizing, mulching, and pest control all involve some math, yet it is often overlooked" (para. 1). Handbook of Essential Mathematics is from the Air Force Research Laboratory (2006) at Wright Patterson Air Force Base in Dayton, Ohio. It's a resource developed as part of their K-12 math, science, and technology outreach program. This open source online textbook with three sections is "a compendium of mathematical formulas and other useful technical information that will well serve both students and teachers alike from early grades through early college" (p. 3). It is included in this Math in Everyday Life section because "Section III, “Applications in Personal Finance”, is a small textbook within [this] book where the language of algebra is applied to that everyday financial world affecting all of us throughout our lives from birth to death" (p. 4). Hands on Banking, provided by Wells Fargo, contains free financial curriculum designed for four age groups: kids in grades 4-5, teens in grades 6-8, young adults ages 15-21, and adults. Engaging self-paced online courses include instructional guides with lessons and classroom activities. Students gain real-world skills in money management. Illinois Council of Teachers of Mathematics produced A Parent Handbook to Mathematics, K-6 with some good ideas on how to help a child see that mathematics is part of daily life. The ICTM states, "Perhaps you do not realize it, but whenever you sort objects, read maps or schedules, compare prices, make change, or use a calculator or calendar, you are a model of mathematical behavior. When you measure, weigh, work with family finances, or figure out how much wallpaper will cover a wall, you are a living textbook!" Playing to Win explores probability and the chances of winning at a casino. Savings and Credit takes on reducing debt. Population Growth demonstrates the exponential rate of population change. Home Decorating applies geometric concepts to interior decorating. Cooking by Numbers explores fractions and cooking. Universal Language describes the universal nature of mathematical concepts such as Pi. Math Interactives is part of LearnAlberta.ca. "This multimedia resource includes interactive math activities, print activities, learning strategies, and videos that illustrate how math is used in everyday life. The resource addresses the following mathematics topics: Fractions; Integers; Percentages; Rate/Ratio/Proportion; Square Roots; Exponents; Patterns; Algebra; Linear Equations; Polynomials; Angles; Circles; Surface Area and Volume; Area and Perimeter; Triangles; Pythagoras; Trigonometry; Similarity and Congruence; Transformations; Shape Classification; Data Display and Graphs; Central Tendency and Distribution; and Probability." (Math Interactives Home page section). Math Matters, Apply It! SIAM, the Society for Industrial and Applied Mathematics, developed this series of pdf documents to increase awareness of applied mathematics. SIAM indicated these were "created for anyone who wants to know more about the mathematics behind everyday life and the technologies we encounter." You will learn about the math behind renewable wind energy, immunology, vaccination, earthquake simulations, x-ray crystallography, sand and dune motion, image compression, statistics in sports, supercomputing, speeding up the internet, cardiology and heart attacks, stopping and preventing fires, digital face recognition, digital animation, using DNA, CDs and anti-skip technology, with more to come. Each is one page and can be used with elementary, middle, and high school learners. Math Munch aims to help "kids find something mathematical that they love." It's tagline is "A Weekly Digest of the Mathematical Internet." In weekly posts, the developers "share stories about ordinary people who have extraordinary passions for mathematics. [They] share resources that students can use to create math of their own. Perhaps most importantly, [they] share and model an excitement for exploring mathematics and learning new things." And they "use language and examples that are accessible to students at least as young as fifth grade, and probably younger" (Why Math Munch? section). You'll also find math games, math art tools, videos, software, and some thoughts for teachers. MATRIX. Enter the Matrix via CountOn from the United Kingdom. Students need to appreciate the influence of mathematics on culture. Click on the doors and take your students on a tour of a virtual gallery of exhibitions illustrating mathematics and science related objects. A historical description accompanies each picture. There are interactive applets. Examples of artifacts include an abacus, illustrations of arithmetic and geometry, clocks, compasses, cup weights, mathematical instruments, Victorian scales, and much more. Students can manipulate and modify geometric solids at gallery 5. Money Math: Lessons for Life from the U.S. Department of the Treasury is a four-lesson curriculum supplement designed for students, grades 7-9, who will learn math concepts using real-life examples from personal finance. The 86-page free downloadable book features a teacher's guide with lesson plans, reproducible activity pages, and teaching tips. Lessons are titled: The Secret to Becoming a Millionaire, Wallpaper, Math & Taxes, and Spreading the Budget. Highly recommended. NRICH from the University of Cambridge is devoted to enriching mathematics for learners in grades 1-12 with games, problems, investigations, and articles. Resources are free. This project is part of the the Millennium Mathematics Project, a long-term national math education initiative in the UK for ages 5-19 and the general public. See also the Plus site, which is their internet magazine with articles, podcasts, news, a blog, puzzles, careers in math, and more. Plus aims to introduce readers to the beauty and the practical applications of mathematics in science, art and society. The Plus Careers with Math section contains a library of interviews that explore the careers of people who use math in their jobs every day. PBS Cyberchase: Featured Themes are listed in the Parents and Teachers section under Lessons and Activities, which "connect mathematics to the world children live in, helping them see that math is all around them! Featured themes include related episodes, Web games and print materials." A partial list of themes includes math around town, weather, building, math and Halloween, math and sports, and know your dough (financial literacy). Practical Money Skills for Life: Visa partnered with leading consumer advocates, educators, and financial institutions to create the Practical Money Skills program so that students of all ages can learn the basics of personal finance. These free educational resources include personal finance articles, games, lesson plans linked to standards, and more. Online multimedia games include such titles as Financial Football, Financial Soccer, Smart Money Quiz Show, Roadtrip to Savings, Ed's Bank, and more. You'll also find financial lesson plans for special needs learners. PUMAS: https://pumas.nasa.gov/ PUMAS, Practical Uses of Math and Science, is an online journal for pre-college education with "brief examples showing how math and science topics taught in K-12 classes can be used in interesting settings, including every day life." It is aimed primarily at classroom teachers for use with their learners. Examples are available by grade levels K-2, 3-5, 6-8, and 9-12. TeachEngineering provides a free digital library with "teacher-tested, standards-based engineering content for K-12 teachers to use in science and math classrooms. Engineering lessons connect real-world experiences with curricular content already taught in K-12 classrooms. ... curricula are hands-on ... and relevant to children's daily lives" (Home Page Welcome). The site is "a collaborative project between faculty, students and teachers associated with five universities and the American Society for Engineering Education, with NSF National Science Digital Library funding" (About section). Highly recommended. TV411.org from the Education Development Center has a series of videos and web lessons involving math skills used in everyday life and in some careers. They are organized by basic math; ratios, averages, and exponents; fractions, decimals and percents; and geometry. For example, learn about area and tiling the New York subway, carpenter math, estimating pricing a painting job, reading a graph on a utility bill, ratios in the kitchen, finding the best cell phone plan, planning a trip using a map to figure time and distance, selecting the best unit price when shopping, using football, basketball, music and dance as explained by pros to learn about percentages, decimals, and probability, and fractions; using origami to learn some geometry, and more. Help your students gain math skills for daily life with these simulations and games! Lemonade Stand: http://www.coolmath-games.com/0-lemonade-stand Open your own lemonade stand and run a business for 7, 14, or 30 days. Make all your own decisions on pricing, inventory, quality, and purchasing supplies and see how much money you can make. Of course you'll be influenced by the weather. The Stock Market Game Program: http://www.stockmarketgame.org/ offers a library of learning materials correlated to national voluntary educational standards in math, business education, and economics. This resource has been used at all levels, from fourth grade to college, all across the curriculum. Starting with a virtual cash account of $100,000, students strive to create the best-performing portfolio using a live trading simulation. The program also reinforces critical thinking, decision-making, cooperation and communication skills, independent research. Students use real Internet research and news updates, making the simulation an even better mirror of the real marketplace. How the Market Works: http://www.howthemarketworks.com/ is a free simulation game designed to help beginners to understand how the stock market and stock trading works by practicing trading. After registering, you receive a brokerage account with a virtual $25,000 in cash and you are able to begin practice trading right away. The stock simulator performs like a real brokerage account. To help you get started, there is an Education Center with numerous articles, videos and tutorials, including a teacher guide among the list of Teacher Tools. This program can be used with middle school learners and above. Virtual Business Simulations: http://www.knowledgematters.com/ are an engaging way to help high school students "learn key business, marketing, and personal financial concepts including accounting, marketing, management, entrepreneurship, sports marketing and management, financial literacy, hospitality, and more." HOT! TED-Ed Lessons Worth Sharing includes a series of videos on Math in Real Life. Educators can use them or select a YouTube video to then create a lesson. You can add multiple choice and open-ended questions, discussion prompts, and additional resources. Share the lesson with students and track their progress. Sample lessons are also available. Connections! Linking Mathematics to Social Studies, Art, and Science from the Middle School Portal contains "online resources that connect mathematics to three subject areas: social studies, art, and science. Each section contains lesson plans, problems to solve, and examples of mathematics at work within contexts not usually associated with school mathematics." Connections! Math History as a Teaching and Learning Tool is part 2 of the Connections series from the Middle School Portal, which identifies resources that not only support math teaching but also illustrate connections to other subjects in the middle school curriculum. "Teaching how such mathematical ideas as numerals and number systems, scale and measurement, geometry and probability developed over time presents the material on a wider stage and goes a long way to explaining its relevance." International Society of the Arts, Mathematics, and Architecture (ISAMA) "was founded by Nat Friedman in order to further interdisciplinary education relating the arts, mathematics, and architecture." Included are links to numerous resources on this relationship and access to the ISAMA publication Hyperseeing, which provides the latest on Math and Art with its "mix of articles, news, reviews of books and exhibits, announcements, and even cartoons." Masterpieces to Mathematics: Using Art to Teach Fraction, Decimal, and Percent Equivalents by Christopher Scaptura, Jennifer Suh, and Greg Mahaffey (2007, August) is a lesson, which appeared in Mathematics Teaching in the Middle School. "This article shares how students created their own OpArt (optical art) which was inspired by Ellsworth Kelly, and how they connected that work of art to rational numbers. By identifying colored portions on a grid, the students recognized fraction, decimal, and percent breakdowns of their own designs" (p. 24). Mathematics and Art. Mathematics and Art was the 2003 theme for the Mathematics Awareness Month, which is sponsored each year in April by the Joint Policy Board of Mathematics. Joseph Malkevitch (York College, CUNY) gathered resources to explore this relationship. He stated, "There are, in fact, many arts (music, dance, painting, architecture, sculpture, etc.) and there is a surprisingly rich association between mathematics and each of the arts. My goal here is to give some pointers concerning these many connections" (Introduction section). You'll learn about mathematical tools for artists, symmetry, mathematical artists and artist mathematicians; polyhedra, tilings, and dissections; origami (the art of paper folding), and more. For more information on the Mathematics and Statistics Awareness Month and previous themes, see http://www.mathstatmonth.org/mathstatmonth/msamhome. The Joint Policy Board of Mathematics is a collaborative effort of the American Mathematical Society, the American Statistical Association, the Mathematical Association of America, and the Society for Industrial and Applied Mathematics. Mathematics Imagery from the American Mathematical Society further explores the relationship between mathematics and art. The collection of albums of math imagery is extensive from snowflakes, fractals, quilts, woven beads to origami, computer-generated landscapes, tessellations, geometric sculptures, and more. Mathematics and Geography from TeacherVision. You'll find printables, lessons, and activities for K-12 that connect math and geography. For example, use these resources to teach students how to read a map and navigate with mathematical instruments. You'll find lesson plans to help students learn how to make a budget for trip expenses and how to interpret U.S. Census data. There are also handouts on weather, elevation, and converting measurements of distance. Math and Children's Literature from Carol Hurst's Children's Literature Site contains a list of books, sample chapters, and articles with strong math themes. Math and Literature Idea Bank. This resource is primarily for elementary grades brought to you by MathCats. Suggested books and how to use them to connect math to literature are presented. Mathematics & Music from the American Mathematical Society provides videos, podcasts, and articles to show the connections between mathematics and music. Per the AMS: "Counting, rhythm, scales, intervals, patterns, symbols, harmonies, time signatures, overtones, tone, pitch" are connected to mathematics. Math, Science, & Music is an initiative of the Thelonious Monk Institute of Jazz in collaboration with a number of math, science, music, and education experts from leading universities and the private sector. The goal is to demonstrate to learners in kindergarten through college the connection across these disciplines using its "free engaging curricula, games, apps and other interactive online components" (About section). You'll find modules on Music and Cognition, Scratch Jazz (music and coding with MIT's Scratch coding program), Groove Pizza (shapes, angles, and groove), Making Music Count (composing and blocks), Mathematics of Music (physics, sound, music), Indian Rhythms & Math (rhythm, patterns, music), Academic Music (music and math curriculum), AQWERTYON (patterns and improvisation) and OIID (music, composing, and math). Motivate Cross-Curricular Maths Resources is part of the family of activities in the Millenium Mathematics Project from the University of Cambridge. Math activities link to art and design, citizenship/PSHE, design and technology, economics, geography, history, media studies, music, science, sport. This is truly a valuable resource. National Gallery of Art has online interactive classroom lesson units connecting art to curriculum. In Counting on Art, elementary and middle school learners "explore the paintings of Horace Pippin and Wayne Thiebaud and the mobiles of Alexander Calder to discover and practice math and visual art concepts." In New Angles on Art, middle and high school learners focus on two artists and an architect. "The interactive lessons focus on the math—lines, angles, two-dimensional shapes and three-dimensional polyhedra, fractions, ratios, and permutations—found in sculptures in the National Gallery Sculpture Garden and in the architecture of the East Building." National Science Digital Library (NSDL) Science Literacy Maps "are a tool for teachers and students to find resources that relate to specific science and math concepts. The maps illustrate connections between concepts as well as how concepts build upon one another across grade levels. Clicking on a concept within the maps will show resources for the concept..." (Intro section). Within the topics are the nature of science, mathematics, and technology; the mathematical world; historical perspectives, and more. The maps were created with support from the National Science Foundation. Highly recommended. Radical Math is for educators interested in integrating issues of social and economic justice into their math classes and curriculum. You'll find links to access and over 700 lesson plans, articles, graphs, charts, data sets, maps, books, and websites to bring these issues into the classroom. Where Math Meets Music by Joseph Heimiller takes a look at such things as frequency and sound waves created by musical instruments. Site might be more appropriate for high school learners and above. Yummy Math helps teachers bring real-life into math classrooms for learners in grades 3-8 and high school. You'll find activities that correspond to the NCTM Process Standards and the CCSS Standards for Mathematical Practice, easily found by strand within a grade or genre (e.g., math and food, math and science, math and art, math and social studies, math and entertainment, sports). What is Problem-based Learning in Mathematics? Problem-based learning is not the same as solving the exercises that follow sections in math textbooks. Per David Moursund (2016), "A section in a chapter discusses a quite specific problem-solving topic and gives examples of how to solve that type of problem. Then students are asked to practice solving that type of problem over and over again" (Math Problems versus Math Exercises section). The problem is relatively easy to understand. The problem can be understood by a wide range of students—that is, by students with diverse math backgrounds. The problem is solvable by a variety of methods. Some methods may be more efficient or "elegant" than others. A student working on the problem can recognize when progress is occurring. It is not easy to look up a solution from readily available resources such as books and the Web. Do you know how to teach your learners to solve problems? Powerful Problem Solving: Activities for Sense Making with the Mathematical Practices is by Max Ray and colleagues (2013) at the Math Forum. The authors provide advice and activities that teachers can use to help students become proficient problem solvers in keeping with the Common Core standards for mathematical practices. What's an effective set-up of a challenging math problem? Explicitly discuss key contextual factors. Point out key mathematical ideas and relationships. Read Jackson et al. 's full study, published in the Journal for Research in Mathematics Education: Exploring Relationships Between Setting Up Complex Tasks and Opportunities to Learn in Concluding Whole-Class Discussions in Middle-Grades Mathematical Instruction. Certainly, results can generalize to all math levels. What's math modeling all about? "Mathematical modelling is a process of representing real world problems in mathematical terms in an attempt to find solutions to the problems. A mathematical model can be considered as a simplification or abstraction of a (complex) real world problem or situation into a mathematical form, thereby converting the real world problem into a mathematical problem. The mathematical problem can then be solved using whatever known techniques to obtain a mathematical solution. This solution is then interpreted and translated into real terms" (para. 7). Make a representation of one or more elements of the situation. Compare results or predictions from the mathematical model with the real situation. Henry Pollack (Gould, Murray, Sanfratello, 2012) clarified for educators "how mathematical modeling differs from what you already teach, particularly, “problem solving”. Problem solving may not refer to the outside world at all. Even when it does, problem solving usually begins with the idealized real-world situation in mathematical terms, and ends with a mathematical result. Mathematical modeling, on the other hand, begins in the “unedited” real world, requires problem formulating before problem solving, and once the problem is solved, moves back into the real world where the results are considered in their original context" (p. viii). Explore 60 Jobs that Use Mathematical Modeling at XP Math. Learn more about math modeling in Algebra 1 and its role in the curriculum via the Annenberg Foundation's workshop: Mathematical Modeling. MATHmodels.org has contests and problems on math modeling for high school and undergraduate learners. “Mathmodels is COMAP’s new modeling forum. On this site, students and faculty will find a wide range of interesting contemporary modeling problems. Teachers can assign problems. Students can choose to work on problems based on math topic and application area” (About MATHmodels section). Note: This site has particular relevance, as math modeling is among mathematical practices included in the Common Core State Standards for mathematics. Read about CCSS high school math modeling. MathWorks Math Modeling Challenge (M3Challenge) is an applied mathematics competition for high school junior and senior students. Winners receive scholarships totaling thousands of dollars for continuing education. The contest is sponsored by MathWorks and SIAM (Society for Industrial and Applied Mathematics). Resources include math modeling handbooks, math modeling videos (including teaching math modeling), tips and guidelines for teaching math modeling, and sample problems. Saltire Software developed Geometry Expressions and has provided GXWeb for free browser-based mathematical modeling. "When and why should we estimate? How does what we measure influence how we measure? How does how we measure influence what we measure (or don't measure)? What do good problem solvers do, especially when they get stuck? How accurate (precise) does this solution need to be? What kind of math problems are your students solving? Deepen understanding of previous content. The Art of Problem Solving, Vol. 1: The Basics (2011) is appropriate for students who are just beginning in math contests. It contains over 500 problems and exercises taken from past contests, such as MATHCOUNTS and others. "The emphasis on learning and understanding methods rather than memorizing formulas enables students to solve large classes of problems beyond those presented in the book." Competition Math for Middle School (2011) contains over 700 examples and problems in algebra, counting, probability, number theory, and geometry. Although written for exceptional students in middle school and teachers looking for challenging advanced math problems, this book could also be used by anyone interested in problems found in national math competitions. Solutions are included. ACCME: Numbers and Operations (2014). Learners "investigate numeration systems of beings from another planet, create and solve stories and problems with extreme numbers, use place value to design their own divisibility tests, and play with a magical number line that multiplies numbers without a calculator." ACCME: Factors and Multiples (2014). Learners "explore mystifying patterns of colored blocks, analyze paths of pool balls, solve mathematical word puzzles, and unravel a baffling mathematical code." ACCME: Fractions (2014). Learners "solve puzzles, create stories, and explore fraction-related concepts from the mathematics of ancient Greece to the outer reaches of infinity." ACCME: Measurement and Polygons (2015). Learners "create and manipulate geometric figures, draw and analyze complex designs, and develop and apply measurement strategies to solve challenging real-world and mathematical problems." ACCME: Ratios, Proportions, and Similarity (2016). Learners "model the solar system, count the fish in a lake, choose the best gear for a bike ride, solve a middle school's overcrowding problem, and explore the mysteries of Fibonacci numbers and the golden ratio." "Each problem is introduced with a "teaser" that encourages students to come up with their own questions and observations before receiving the directions." This will "enhance the open-ended, inquiry-based nature of the problems." Advanced Common Core Math Explorations: Probability and Statistics (2017). Students "learn powerful mathematical ideas about data and chance as they make sense of real-world situations from science, sports, and everyday life." "Each problem is introduced with a "teaser" that encourages students to come up with their own questions and observations before receiving the directions." This will "enhance the open-ended, inquiry-based nature of the problems." K-12 Math Problems by Erlina Ronda is written for students. You'll find problems, solutions, explanations, and common errors. Problems are categorized into middle school, algebra, geometry, trigonometry, combinatorics, probability, and calculus. Mathalicious provides lessons for elementary, middle, and high school linked to the Common Core Standards. Lessons relate to real world scenarios and include the lesson guide, student handout, and multimedia presentation. "[L]essons ask real questions in open-ended ways that require students to make sense of problems and empower students to develop their own strategies for solving them. Students must support and justify their own methods and conclusions, and evaluate the validity of others’ arguments. Lessons prompt students to model their findings in a variety of ways: numerically, graphically, algebraically and verbally" (About section). While not free, Mathalicious does provide a sample of free complete lessons to introduce you to this resource. Math and Logic Problems Galore is actually a collection of links to sites with puzzles, math problems, games, logic brain teasers, and more and is well worth a look. The collection is grouped: Everyday math and logic problems for everyone; math and logic for kids, then teenagers, then mathematicians and logicians. These are educational in nature and can be used in school settings. Math.com: The World of Math Online is dedicated to solving math problems at nearly every level of school mathematics, including basic math, algebra, geometry, trigonometry, statistics, calculus and more. There are online math tools: calculators, graphing utilities, test preparation and study tips, free homework help, a glossary and a math library. Teacher and parent resources are extensive. MathPickle.com "is a free online resource of original mathematical puzzles, games and unsolved problems for K-12 teachers. It is supported by the American Institute of Mathematics. ... Puzzles are organized by grade and subject -- each designed for a 45-60 minute period" (About Us section). Problems with a Point is designed to complement your existing curriculum with a problem-centered approach to learning mathematics. According to the Education Development Center in Massachusetts, their goal is to "help students in grades 6-12 learn new mathematical ideas by building on old ones. Each problem or sequence focuses on one mathematical idea and also connects that idea with others. Varying in difficulty and approaches, these problems are useful for teachers, students, parents, math clubs, and home-schoolers. Problems are classified by topic, time required, suggested technology, required mathematical background, and habits of mind that students develop or use as they work. Synopses of the problems are keyword searchable. Answers and solutions are provided, and many problems include hints." Real World Math: "Students will find downloads for over 30 activities, videos, and instructional tutorials for Google Earth & SketchUp. The goal is to take the math you learned in class and develop it further with problem solving activities." Add some enrichment to remind learners of math in daily life. Students might not be aware of how much math plays in their daily lives, nor in the entertainment they experience. Become an avid reader of Plus magazine-- a real find of value! Increase motivation in problem solving--add some humor! Young learners in grades 3-6 will appreciate Comic-Strip Math: Problem Solving by Dan Greenberg (2010). They'll laugh as they read each of the 80 comic strips and complete companion mini-story problems. They'll reinforce skills in place value and rounding, number operations, fractions, decimals, time, money, measurement, geometry, graphs, patterns, rate, ratio, probability and statistics. Add a little dose of Math in the Movies and on TV. Add some enrichment with Math in the Movies, a collection of clips in which mathematics appears gathered by Oliver Knill of the Mathematics Department of Harvard University. The collection is extensive ranging from Alice in Wonderland to the Simpsons, Shrek the Third, A Walk to Remember, and so much more. Teachers should preview selections for age appropriateness. For example, Die Hard III is also in the collection and the language might not be suitable for some. Viewers of the TV series Simpsons might not be aware of all the math one can find in several of the episodes. There are "over a hundred instances of mathematics ranging from arithmetic to geometry to calculus, many designed to expose and poke fun at innumeracy." The popularity of the Simpsons makes the web site simpsonsmath.com an "ideal source of fun ways to introduce important concepts to students, and to reduce math anxiety and motivate students in courses for non-majors." Drs. Sarah Greenwald and Andrew Nestler also provide resources for using the site with students. Show your learners the photographs and art involving the beauty of math! Explore the mystery of mathematics. 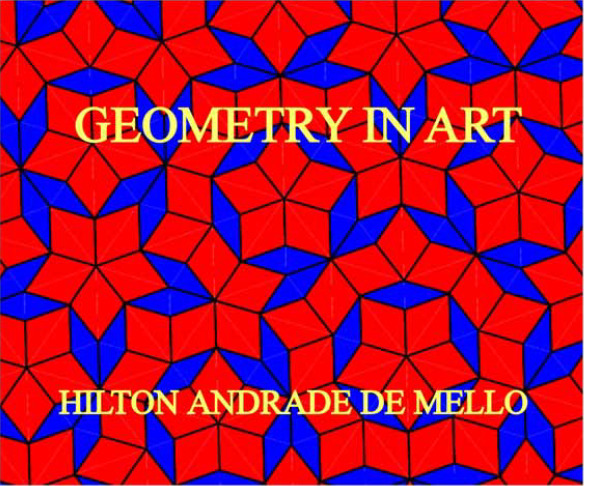 Geometry in Art (2010) by Hilton Andrade de Mello of Brazil is an excellent supplementary book for students to explore "how geometric forms have been and continue to be used in the Arts and in Architecture, and also how they appear in Nature." You'll read analyses of the role of geometry in actual works of art. In writing this book, which is a free download, the author received contributions from artists around the world. Ten chapters address Abstraction and Geometry, Planar geometric forms, Polyhedrons, Other spatial figures such as the conics, Composing a canvas with polygons: Tessellations, Perspective, The Golden Ratio, Symmetry and specular image, Geometry and symbolisms, and an Introduction to Informatics and the arts. Geometry Playground, created by the Exploratorium in San Francisco, will change how you view geometry in nature. It contains three sections: The Geometry of Seeing with a photo exhibition of the invisible geometry of light; The Geometry of Moving on the arcs, angles, and shapes created when people and things are in motion; and the Geometry of Fitting Things Together. Each includes hands-on activities for grades K-8. The Geometry Garden features curiosities found in nature from crystals to seashells to sculptures. The site was made possible by the National Science Foundation and the Gordon and Betty Moore Foundation. The Mathematical Association of America hosts the Found Math Gallery, which features interesting photos involving math: the ordinary sidewalk, symmetry in nature, architectural wonders--just look around you. This will give great inspiration for your students to take their own photos of math in daily life--what a great project idea! The Natural Museum of American History features 80 of the Mathematical Paintings of Crockett Johnson. "From 1965 until his death in 1975 Crockett Johnson painted over 100 works relating to mathematics and mathematical physics." Many relate to the geometric figures and concepts that students encounter in their high school math courses, and give great inspiration for projects linking math to art. Do you want to create your own paper models of polyhedrons? You can make templates (i.e., the nets for construction) for regular polyhedrons (tetrahedron, hexahedron, octahedron, dodecahedron, icosahedron) at polytemplate.com, then print, cut, fold, and glue your 3D models. You can select colors, size. Advanced features allow you to specify the number of sides for a top, middle, and bottom of a unique creation. A Data Tab shows you the measurements of the sides and angles of your polyhedron. Learn more about discrete mathematics and its role in solving real-world problems. Discrete Mathematics in the Real World contains short and longer descriptions of everday applications (e.g., computers binary math, networks and routers, web searches, Google maps, area codes, bankruptcy proceedings, cell phone communications, etc.) and interesting research and corporate applications (e.g., medical imaging, logistics, cybersecurity, 3D imaging, etc). This is a great start to knowing the value of discrete mathematics and its role. Navigating Through Discrete Mathematics Grades 6-12 from the National Council of Teachers of Mathematics provides an overview of discrete math and then guidelines for integrating related topics into the curriculum based on NCTM standards. Six chapters, organized for grades 6-8, and 9-12) address systematic listing and counting, vertex-edge graphs, and iteration and recursion. Blackline masters and problem solutions are included. NCTM provides the introduction to the book to define these topics, their importance and where they are used in real-world problem solving. Wikipedia: Discrete Mathematics illustrates where discrete mathematics is found in a variety of topics, such as computer science, logic, set theory, combinatorics, graph theory, probability, number theory, calculus, geometry, topology, game theory, and more.